This is the second of a series of articles on decisions you can make to improve your violin practice and playing over the next year. My second suggestion is to get organized. This has several facets. First, organize your environment. Set an area aside where you can practice without hassles. All of your music, supplies, etc. in one place. 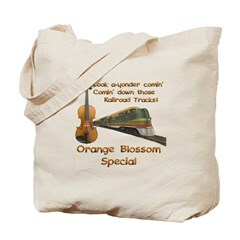 This allows you to go there, pick up your instrument and get started right away. Need some rosin? It's right there! A pencil to mark your music? Right there on the stand! Your practice diary? Right next to you! No wasted time! And no excuse to stop practice and go somewhere to get something! 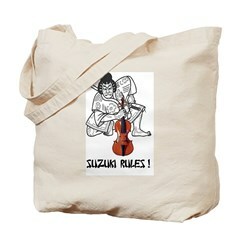 Set up a bag to take with you to lessons and performances. Put everything you need into this bag, so that nothing is left behind. Pencils (more than one in case the point breaks), paper, extra strings, a cloth to wipe the instrument, a piece of white chalk (for slipping pegs), anything else that you can think of that you have needed in the past when you were away from home. With these physical needs taken care of you can move on to even more ways to make progress on your violin. Tomorrow -- organize your time. Sharps and Flats for the Keys. 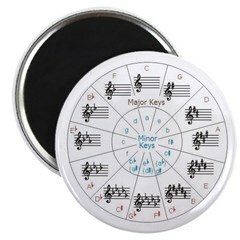 Attach this magnet right to your music stand!